Aileen had a very nice chat with Lena this morning. Here is what Lena had to say, and our responses. Everything Lena told Aileen resonated with what I know and have felt about Lena. I obviously have my work cut out for me in making sure Lena knows EVERYTHING about what we’re going to do each day! This is very much what I would expect to hear from Lena. But it is so heartwarming to hear how she feels about me, and our life together. Lena: Yes! We have an appointment this morning. I’ve been expecting you. Barb: Lena and I had a chat the day before and I told her you would come to visit her. Aileen: Thank you for chatting with me today Lena. I offered her some Reiki and it was funny at first, because she responded with, you know when someone walks up behind you and touches your back, ‘hello’? But you aren’t sure who it is until you turn around and look? Well, when I started, Lena was like, ‘What’s that?! Lol… I sensed she felt that she didn’t have ‘permission’ to receive the Reiki, so I jumped in with, “Your Mom said it was o.k. for you to accept this, if you like it.” Then she was o.k. and told me it was a ‘pleasant’ experience. 1. Did Lena have fun at Equine Affaire? Lena: Yes. Who doesn’t like to be admired like that? Everybody was friendly. ~Nice and orderly.~ It is a good time. It’s not as much fun getting there…but it’s okay once there…friendly people…They ‘ooohhh and aaahhh’…It’s fun…Barb tells the same story over and over again~ but I like the looks on their faces every time! They think I’m very special (I am) and I look very ‘snappy’ in uniform. Barb: There is nothing Lena likes better than to be admired! 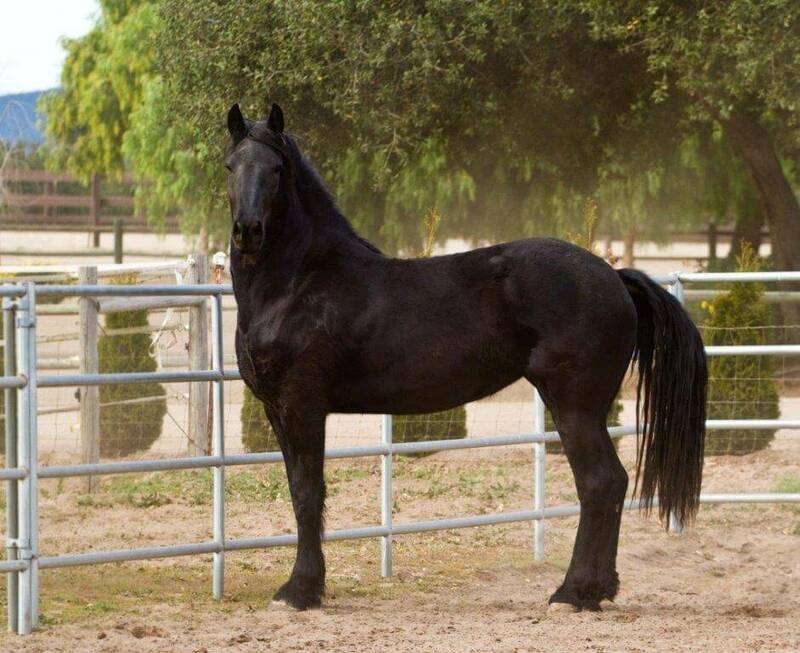 It’s a Friesian thing! Aileen: Is it a Friesian thing? I didn’t know that! Thank you for saying that… See, I’m learning! (further clarifying) Did she like the woman who rode her there? I want to train with her, and want to make sure Lena likes her. Lena: Yes. She’s not ‘Barb’ but I like her. It would be fun. OK to train with her? Lena: Yes. If she’s not, I’ll let you know~ You know me! Barb: Yes, Lena always does let me know if there is someone she doesn’t like. Aileen: Yes she sounded quite clear about being able to let you know…. Barb: She actually has come into not only my dreams, but my friends dreams, to tell me who she doesn’t like! The first time one of my friends had a visit from Lena in her dream it took her weeks to tell me about it – I think she felt kind of weird telling me. Aileen: Wow! That is amazing! 2. Does she like her barn? Lena: It’s pretty here and I’m comfortable. I like it. I like my schedule. But my favourite time is when I’m with Barb. Yes, she gave me the impression it was quite comfortable for her needs…. And she certainly feels very well-cared for by you…. (further clarifying) Does she like the woman who cares for her there? Does she like Jen who rides her once a week? Lena: Like our appointment this morning, I knew, so it’s OK. OH she knows… that’s why she told me about you. Aileen: LOL…. But it’s the DETAILS isn’t it? Lol… she is sooo precise! Aileen: Well, thank you for agreeing to chat with me Lena… I appreciate your time today. Lena: I’m happy to talk with you. Does Lena like Rolex Kentucky where we’re out on the cross country course all day? Barb: have my work cut out for me here. 🙂 Definitely get the message! Aileen: LOL… I’m happy about that. Does she know how much people love to see her out on the course? Lena: Mom is so proud of me! She loves to show me off! She knows I like it (to be admired) too! It’s the best part… Feeeeel the love! (Further clarifying) What is her issue with being out there? We both like to be prepared, so we are organized. Precision is better than not! Direction is my friend! Because when I know what is coming, I can be ready for it. Thank you! Barb: Ok. Smack me upside the head with a baseball bat! I got it! The girl wants communication! Aileen: LOLOL… I think she’s ready for the ‘next level’ in communication with you Barb!!! Would she like ear muffs so she can’t hear the whistle? Lena: No. Just tell me what’s going on so I am fully prepared and I’ll be o.k. Lena, is there anything you would like to say to Barb? Lena: I’m happy. I’m a busy lady! There’s always something going on here. I have many jobs to do and yes, I like my jobs. What’s your most important job Lena? Barb: AWWWWWWW That’s my girl! Aileen: I was touched when I heard that one…. Any last message for Barb? Lena: I work and then I’m off…I play and sleep and eat…I have the BEST Mom in the world because she loves me and looks out for me. She has ‘my back’ and I have hers…. I thank you for giving me the best life you can. I knew I was lucky when I came to you and you told me, that you would ‘love me always, care for me and give me the best life you could’… And it’s true… You didn’t ‘trick’ me… You told me the truth. You said, you would always love me, and care for me and if I listen to you and do well, we’ll get to have even more fun together. And that’s true too. She knows how much I love her, (especially when she keeps me in the loop) I love you for my very good life, and for working so hard, so I can have it. She has a ‘look’ that tells me, I’m doing good~ I don’t see that ‘other look’ too often…I’m pretty quick to learn if you are clear on what you want. I aim to please because Barb says the better and more I learn, the more fun we can have! Barb: Lena does try very hard to be good, and to look out for me. She does love to do thing things we do together. Aileen: That was clear too… thank you for validating so much for me, Barb! Barb: Can I cry now????? And that was it! All questions answered and messages delivered. Thank you for sharing the beautiful Lena with me Barb. She truly is special. Please take what resonates here, and leave the rest. I very much look forward to your feedback when you have time! 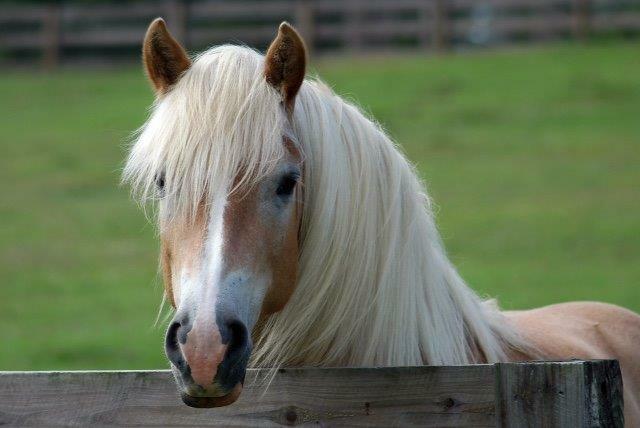 I asked Aileen to communicate with a new Haflinger mare I have only had a couple of months. And boy let me tell you – it was a wonderful experience! As soon as Aileen started communicating with Judy (aka Bonnie), Judy let her know that her name was NOT Judy. I hadn’t told Aileen that she used to go by another name so was TOTALLY overwhelmed when Judy told Aileen that Bonnie was her real name. Aileen, when you did my Oliver’s consultation, it explained so much. He is a rescue boy, and I had a lot of questions about his behaviour, especially his serial BARKING!!!!!! Your accuracy in the description of his trying to *fit into the pack*, and his constant need for attention, was AMAZING! And, when you said Oliver wanted me to acknowledge our *connection* from the past, I was stunned. 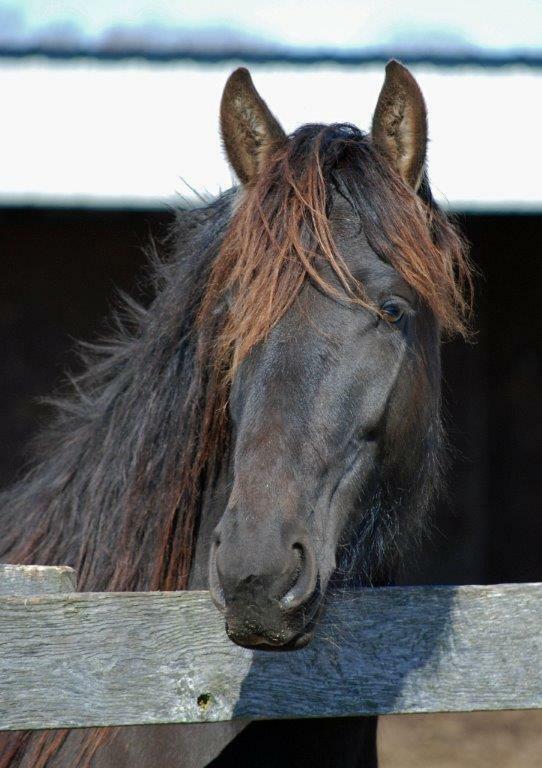 When I asked Aileen to speak with my Friesian mare Vogue, I wasn’t quite sure what to expect. 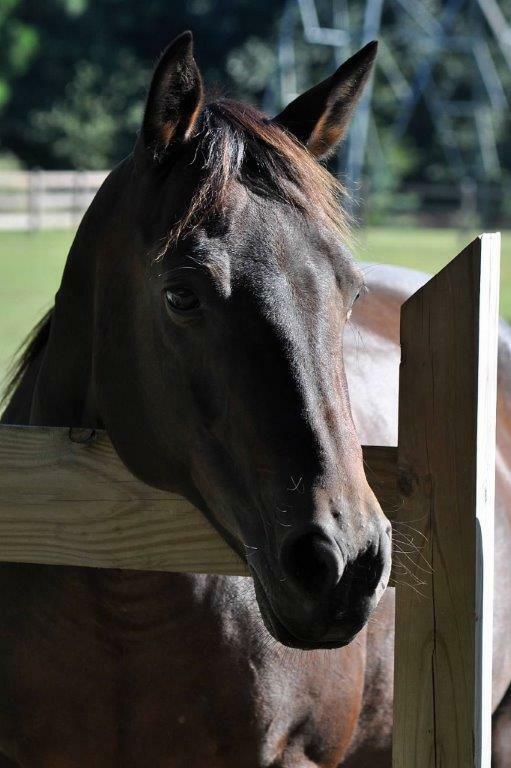 Vogue has always been a difficult mare to connect to – she does not seem to bond very well with anyone, horse or human. She is a bit of a loner, and I had despaired of ever finding the right path for her future. When I received the reading back from Aileen, everything changed! Now that I understand what Vogue is truly about, we are connecting on an entirely different level. Allison ThomasMythic Friesians - Swanson, SK, Canada. 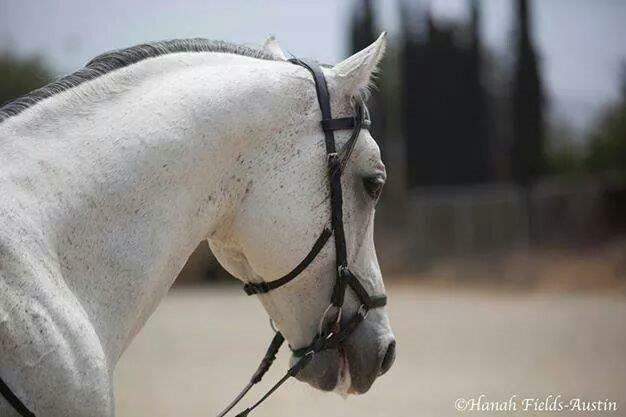 I had Aileen have a chat with my horse Conversano. Though I own 6 Friesians, it was my Lipizzan that I needed to understand better. He is a very interesting character and Aileen was quite spot on about what his daily habits or likes are!! I very much enjoyed the news she was able to bring me. It reinforced my direction with him. He was also very excited to see me later the day of his reading. Like did you like what I said mom? I would highly recommend Aileen Donovan to anyone wanting to create a deeper bond and understanding with their animals. She is truly a gifted communicator! Sapphire and I were fortunate enough to have Aileen do a consultation from Sapphire’s photo. Sapphire is perhaps a bit different than most animals with whom Aileen communicates, because Sapphire, a Great Dane, is blind and partially deaf. But, as Aileen so correctly told me, Sapphire has a compelling mission, and does not consider herself to be disabled. Aileen recognized that Sapphire is an inspiration to humans as well as other animals, and loves leading a very active life. Boy did that strike a chord! I really appreciate your time, and it was really interesting! 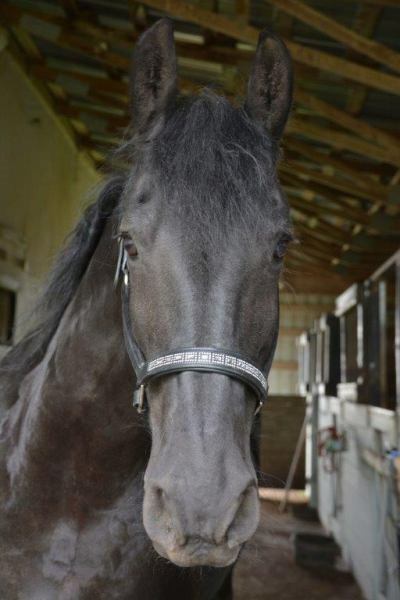 Aileen did her reading of Cassie, my Friesian/Percheron mare today. I have to say she was spot on. It was so nice to hear we are on the right track with my mare and excited that she is happy to be working, training and being with her ‘people’. I truly enjoyed all she had to say, what fun this was. Thank you again Aileen for this great opportunity! I was very pleased with Aileen’s consultation with Riva and although I didn’t like what Riva told her (that she doesn’t like to do the dog shows), Aileen was right on!! Aileen had an EXCELLENT reading of my 11 yr. old Haffie gelding this week. He’s a rescue though reg. and wonderful breeding and potential. She caught his personality straight on and was able to identify his fav buddy out of a herd of 5. I learned that what we are doing with our training is working, which I knew despite traditional trainers telling me to get on his case . Aileen was a delight: warm and insightful, and professional to boot. I contacted Aileen because my Great Dane Mozart appeared to be mourning for our other Great Dane, Denali, who had passed away a few months earlier. He was very clingy and had become fearful and aggressive with people and animals outside of our home. I didn’t know how to comfort him or deal with his behavior and needed to understand why he was acting this way. Without ever having met me or Mozart, Aileen immediately sensed his sweet and sensitive nature. Wanted to just give you an update. Jansje and I have spent a lot of time together since your reading! She not only gets out of the box stall everyday now but I get her out everyday for something… grooming, lunging, bath, walking etc. She had her massage on Tuesday and Paula came over Wed morning! They spent about an hour together. Paula said it was very healing for her as well! Her over all heath seems to be flourishing and she has a glow, a playful spirit and a smile now! Aileen did a reading on my horse, Alonzo, and had a lot of interesting and useful information to pass on that would seem hard to guess at. His name is Pirli Asman (pronounced Peer-lee Az-man). He lived and is buried in Boddington, Western Australia. He was 3 years and nearly 8 months old when he died on the 27th of November last year. 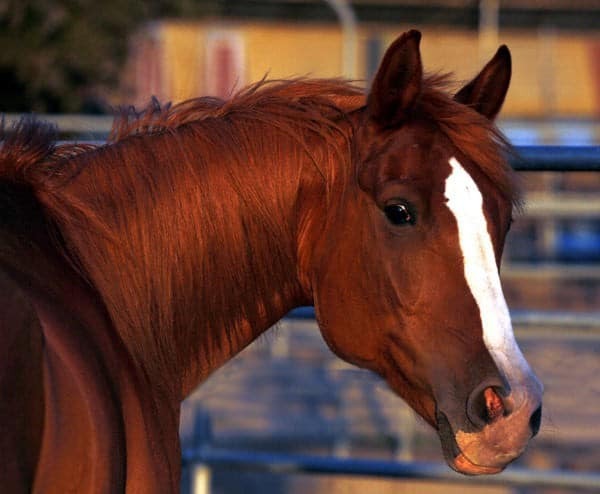 Pirli was a purebred Akhal Teke stallion. Thank you so much for your response to my feedback. I have definitely taken it all on board and you certainly know how to put things in a different perspective for me to ponder. First of all, you pegged the difference between my two girls perfectly. Joy is a new soul and full of youth and vitality with all the world her playground. She has only known love and adoration in her life. I was most interested in the question about cantering and it rang true. Aileen had a very interesting conversation with my 13 year old Hanoverian mare. This mare has been hard to read and get close to since she’s been with me. The information that Aileen got from her has allowed me to connect with Patrizia better. She is slowly coming around and has a very sweet side I’ve never seen before. I was totally blown away by the fact that Abbey communicated to you that she had been in my life before as my favourite horse. Aileen, you had no clue that I had ever been involved with horses before. That made my pet communication even more special. Aileen did a consultation for each of my two boxers: Brindel and Porter. We were seeking help with some health issues that Porter was having, but Porter was reluctant to “talk”. So, we decided to see if Brindel would speak with Aileen, and try and give some insight as to why Porter was not talking. Aileen had no problems with Brindel wanting to communicate. When Brindel was very young she was very temperamental and difficult. This is very much what I would expect to hear from Lena. But it is so heartwarming to hear how she feels about me, and our life together. 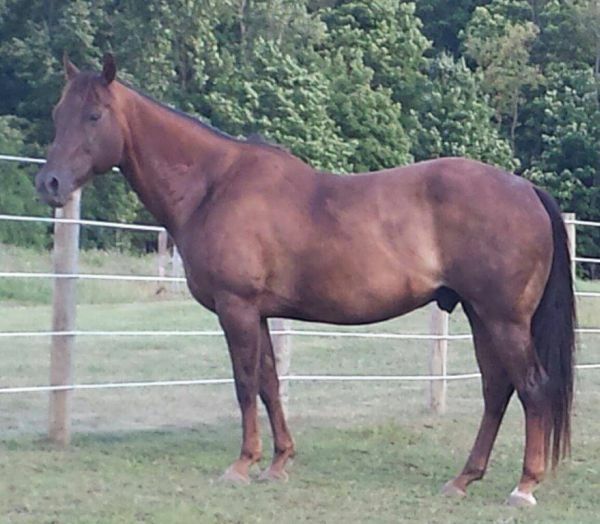 Our Tennessee Walker, Troy, has seemed haunted since moving to our property two years ago. 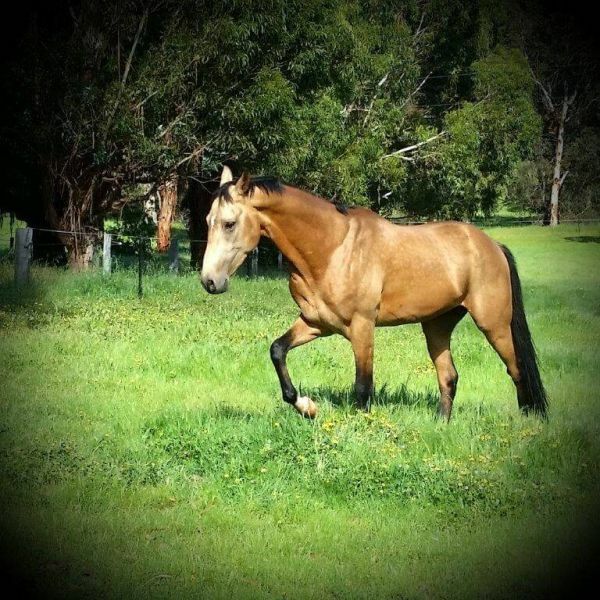 My intuition is that he had an abusive past, but as he has a pretty good life here living with two other geldings and a mare on a Paddock Paradise set-up and is well-loved by our family, it didn’t make sense to me. When I saw Aileen’s post on an online horse group, I thought it would be interesting to see what she could find out. Aileen did a reading on my mare Rita today. I cannot express how pleased we are with the results. Rita is very pregnant right now and we have concerns that her task at hand was too much for Rita. We learned that Rita loves being a Mother, and is happy with her station in life. Rita appears to be an “old soul” of sorts, and we learned that she was seeking more individual attention during these last few months of her pregnancy. Aileen had a very interesting conversation with a Morgan of mine and I’m looking into a person who does Reiki to come visit with him. Hopefully, she will be by soon so we can add to what Aileen chatted with him about. You did get Mia’s personality correct… she does not let people in and is very protective of her soul. She doesn’t want anyone to think that she needs them. I’m grateful that you were able to explain the move and the separation to her. I feel certain she feels more comfortable now. I’m not surprised at her answers about having another baby. Elizabeth BarretteGreen River, Wyoming, USA. For Annie’s reading I asked for only very general questions to be asked – “how are we doing” kind of thing – but Aileen instinctively knew that she needed to ask Annie about her past (as in her life before she came to me). What they had to tell me correlated exactly with some issues that I had been experiencing. I was privileged to have Aileen do consultations on all three of my companions, Philo, Bella and Zeke. One of the biggest and most immediate benefits was helping me understand the dynamic between Zeke, the new guy, and Philo and Bella. It helped me to know that Zeke was still feeling displaced, having come to us from a rescue. He was seeking comfort and reassurance that he was in his forever home and Aileen was able to help us get that across to him. I am not sure where to begin! I asked Aileen to visit with my yearling quarter horse, Lilly. The information I received brought tears to my eyes as I read Aileen’s words. She revealed to me information about my filly that NO ONE could have possibly known except for me. Then she answered my questions that explained the feelings of fear and uncertainty that totally made sense about my filly’s actions and behavior. I am so grateful for my consultation with Aileen. It has brought Lex and I so much closer together and has deeply broadened our understanding and respect for each other. We are so much closer because of it! I have to tell you that you were 100% correct as far as Lucy coming to rescue from a divorced family and they had 3 kids. I have to tell you that the night you visited with Lucy I had no idea, however, something happened that night, before I ever knew you had visited with her. You see Lucy came to me while I was at the computer put her head in my lap, which she never does and looked at me for the longest time, I swear to you she seemed to be smiling. What a blessing you are in our lives! Your commitment to, compassion and true love of animals have made your communicating abilities truly a gift to others. Having you communicate with our precious Sweetie has been an immeasurable comfort to all of us, especially when she was very ill.
Aileen communicated with my Anke yesterday and sent me the transcript. She perfectly described people in my horses life and her relationship with them. Also some things about my personal relationship with my girl that only we share between us. If you get the chance to have Aileen communicate with your horse, you will learn so much about how they see their life and relationships. When my dog Athena began having aggressive behavioral issues, I wanted to look into every possible solution. Even though I had my doubts about the validity of animal communication, I was not going to let my beliefs possibly prevent me from finding answers as this could have been a life or death situation for her. Although not misleading, I was vague in my questions so as not sway the results. The results of the consultation were so detailed and accurate, they made me cry! Thank you Aileen for your time it was a very interesting reading. It’s the first time I have experienced something like this. Aileen chatted with our Gypsy mare, Edain. Edain is not a mare who will let just anyone in to her world, so to speak, but she really opened up to Aileen. It means a great deal to me that Aileen was kind, present and considerate of Edain which was quite obvious in the communication she unloaded on Aileen. The information Aileen shared with us could only have been known by my husband and I and one other couple. Jeanie WierEpona Moon Farm, McKenna, Washington.